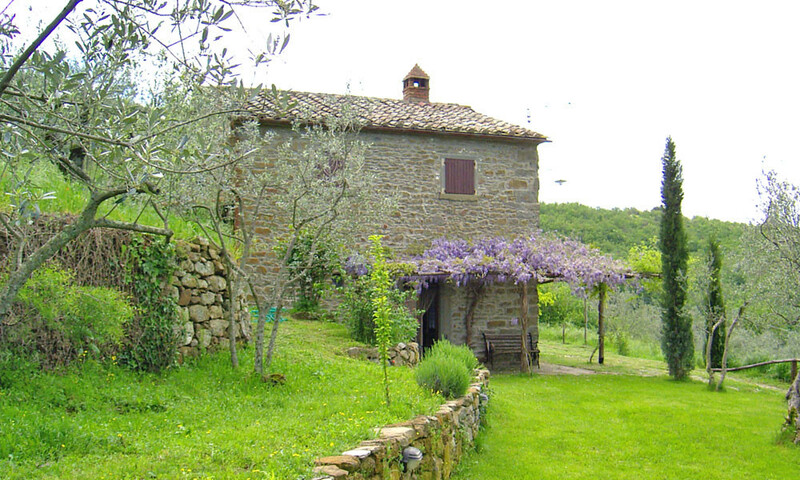 Set in the rolling hills near Cortona, this stone house features typical regional characteristics - ceilings with wooden beams, original terracotta floors, arches and other architectural details in old stone. 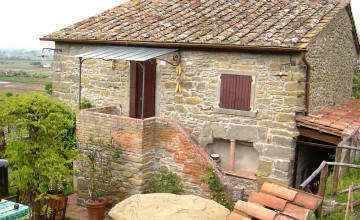 The 130 sq. 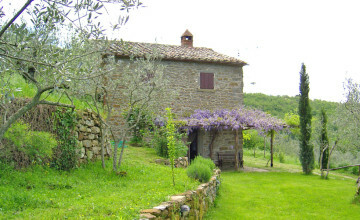 house has several entrances leading from various levels of the surrounding terrain. 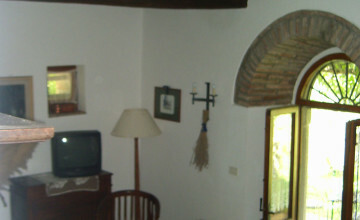 The ground floor accommodates a master bedroom with an en-suite bathroom and a spacious sitting room. 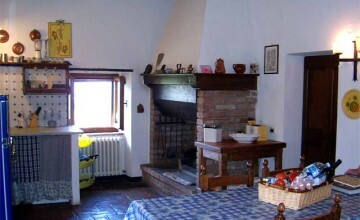 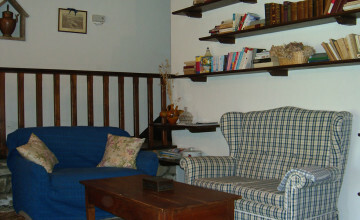 The first floor has a large kitchen/dining room with a fireplace, two bedrooms and a bathroom. 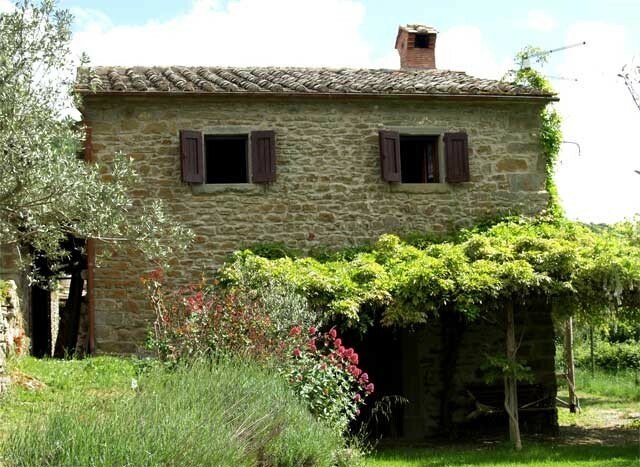 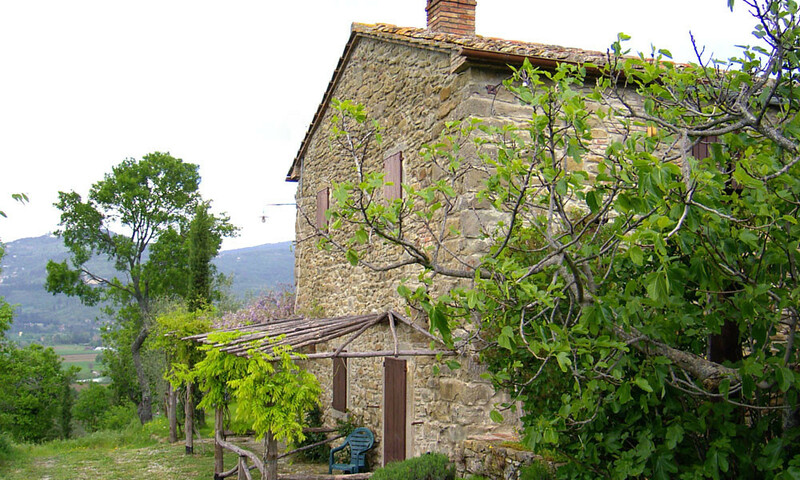 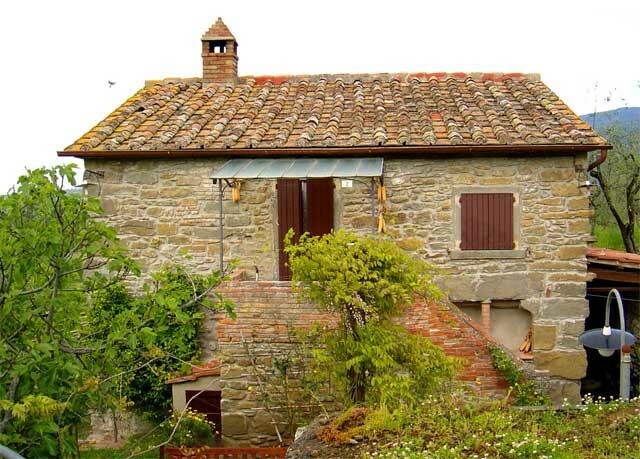 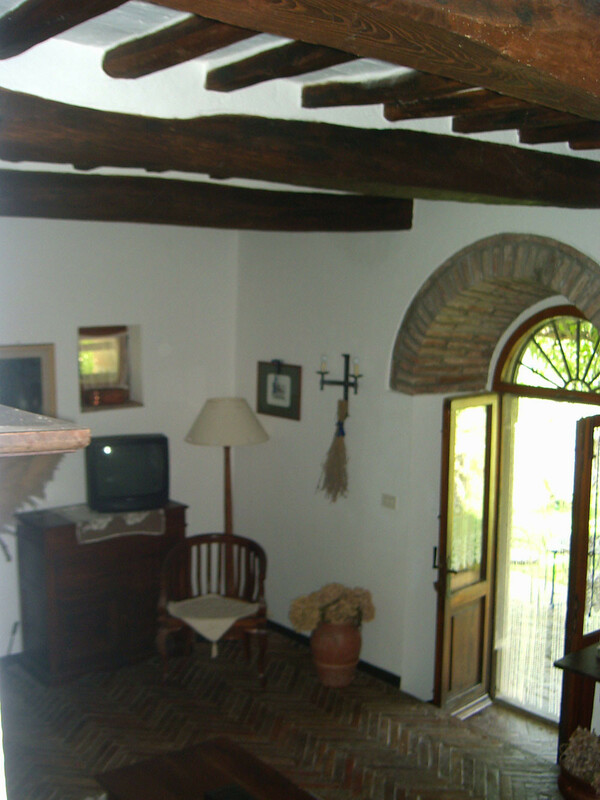 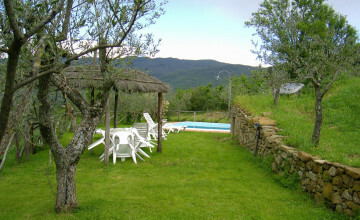 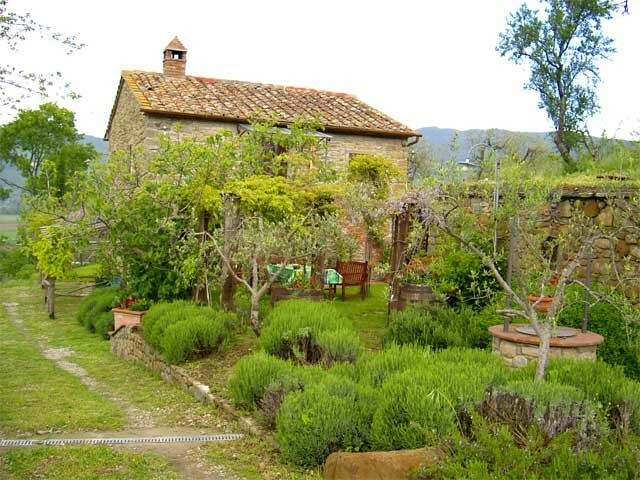 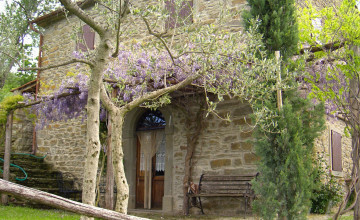 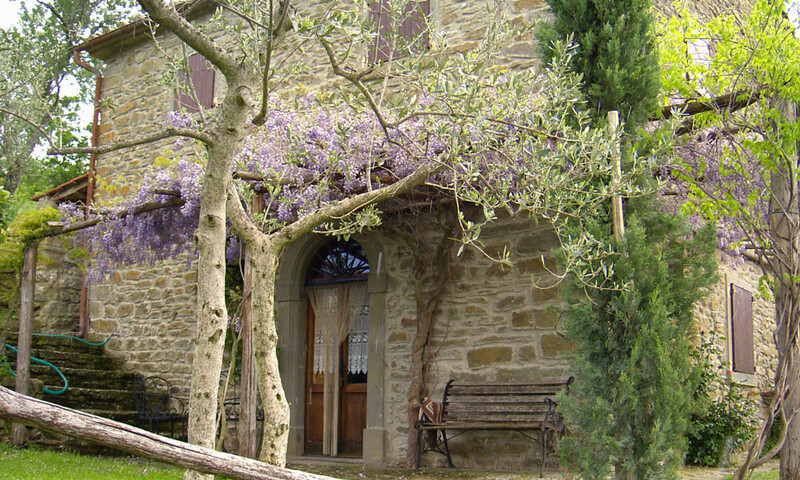 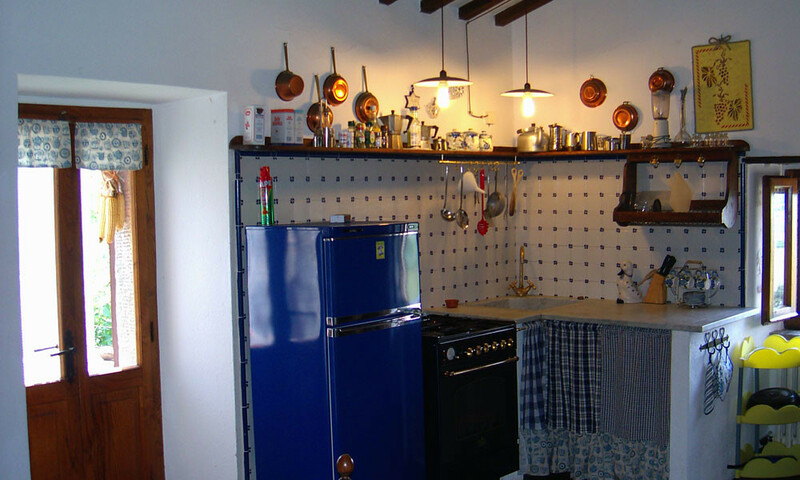 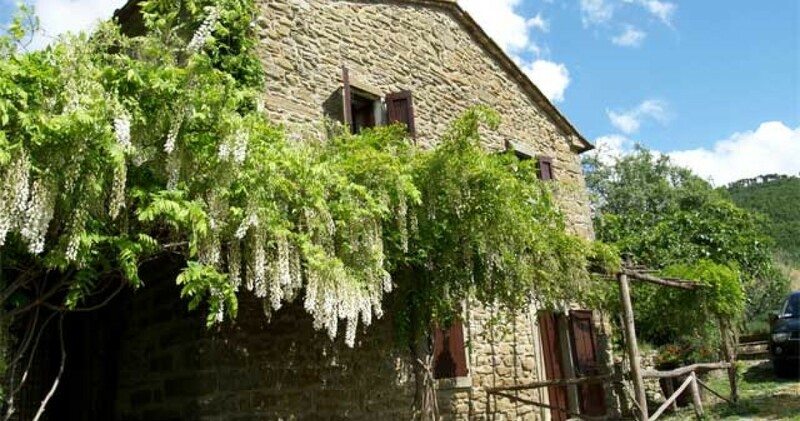 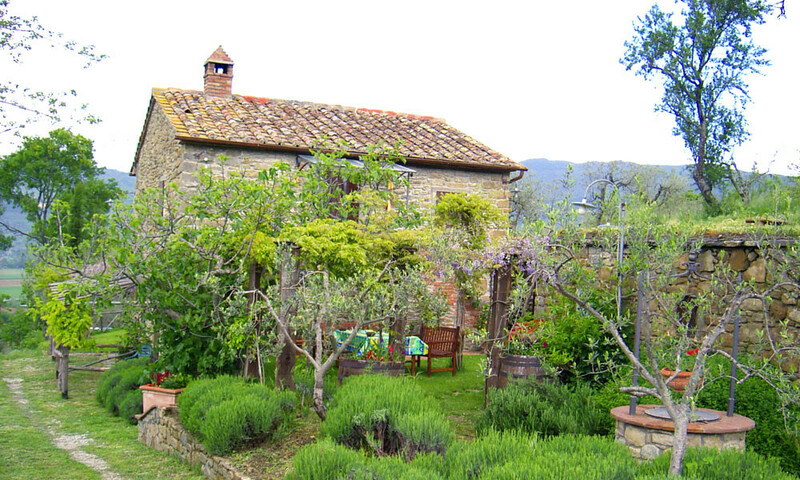 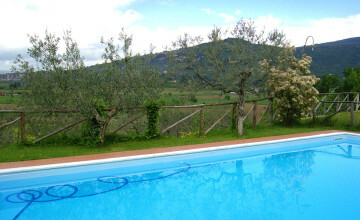 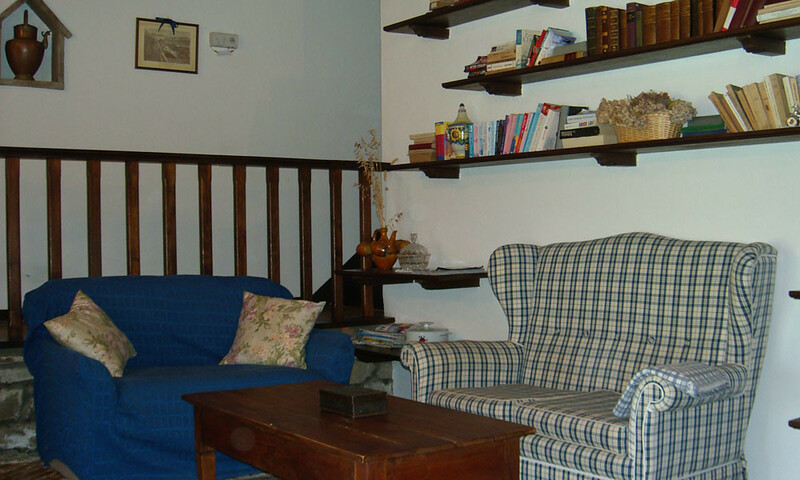 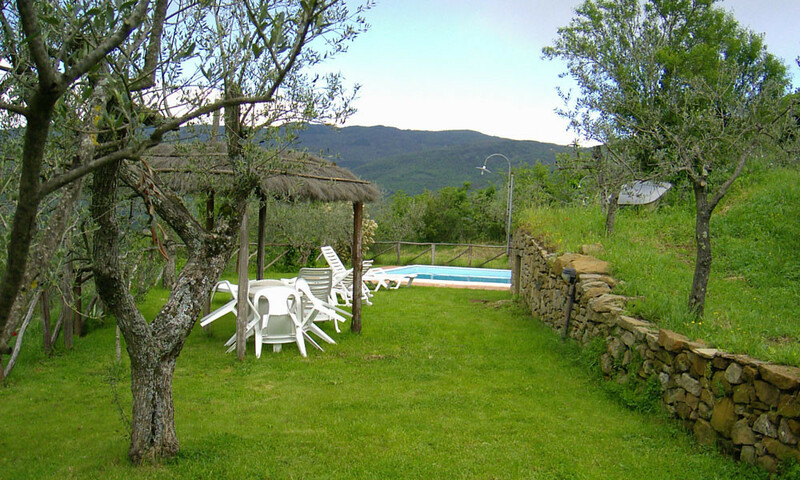 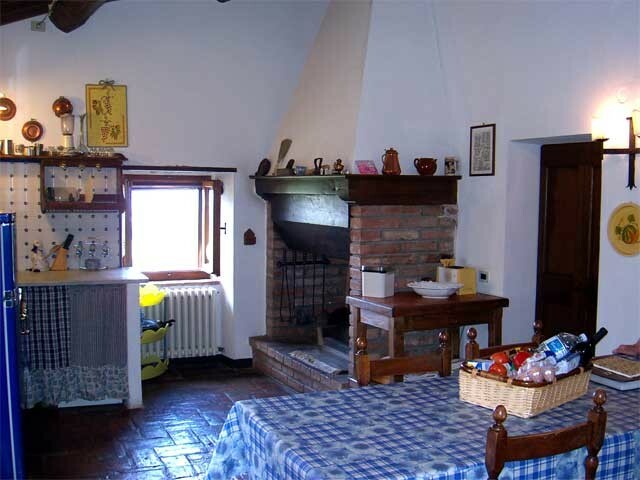 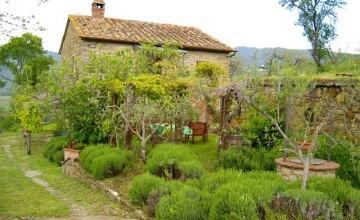 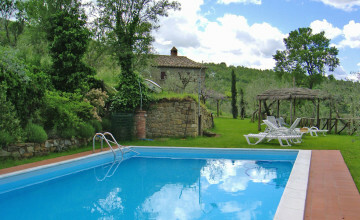 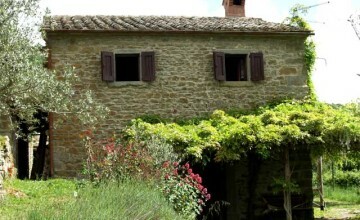 The house, its annexes and gardens offer panoramic views of the surrounding country side and the city of Cortona. 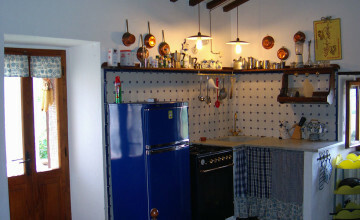 The former garage is now a delightful 58 sq.m. 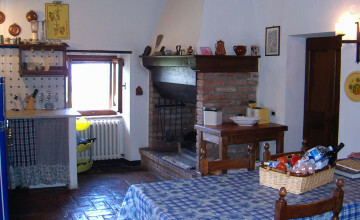 apartment consisting of a sitting/dining room with a fireplace, a small kitchen, a bedroom and a bathroom. 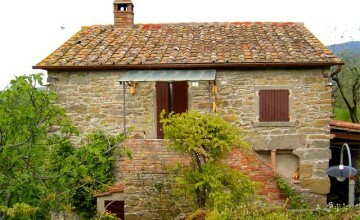 A separate building of 19 sq.m. can be used as an outdoor kitchen/laundry room. 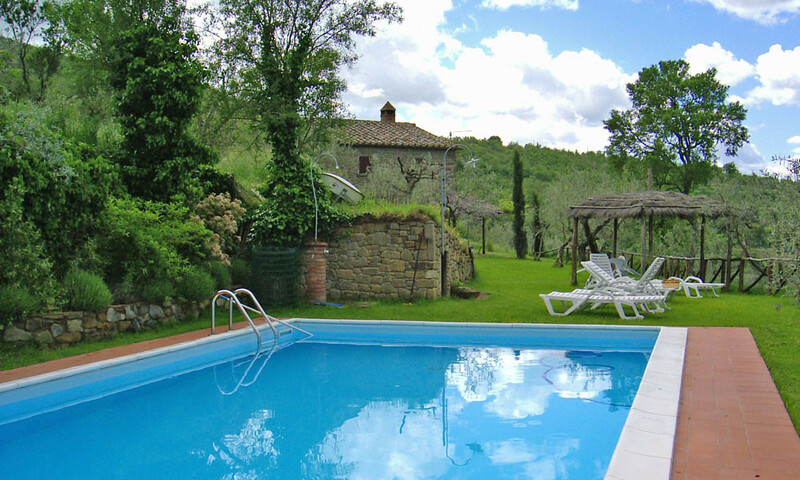 The plot of 5000 sq.m has a large olive grove and a well designed garden featuring a 5x11m swimming pool, wisteria covered gazebos and a stone barbecue in close proximity to the kitchen. The property is in mint condition, ready to move-in.